I gotta be honest with you - I've been feeling a bit down these past few weeks. Nothing serious, just tired mostly. A bit cranky, very impatient, and definitely overly sensitive. I have come to realise that I am like my own worst enemy when it comes to self expectations and the thing is, I just never seem to learn. I'm like a pig at a buffet when it comes to filling my days in that I'm all 'yep, I'll have some of that, a bit of this, gimme a bit of that and ooooo I want that too'. Before I know it I am looking at a shitload of stuff on my plate and I have no idea how the hell I am going to fit it all in. I've done it before you know. More times than I can count on my crooked toes. In fact I think I have always been like this and even though I look in the mirror and promise to cut myself some slack... I don't. Now if you have ever met me in person, you would know I'm a pretty emotional gal at the best of times. I cry at a fart from a babies bum and my eyes leak regardless of whether I am happy or sad. I feel things hard and I have come to accept that it is just the way that I am. The problem is - when I am feeling like this, you know a bit low and a bit vulnerable, I tend to over think things and by things I mean pretty much everything. Did I just offend that person? Was I too blunt? Was I friendly enough? Too friendly? Did I do enough to help? Could I have done more? Am I a good enough mum, wife, daughter, sister, friend, colleague, or blogger? Yep that's where I always end up and THERE my friends lies my problem. The 'am I good enough?' question is what pushes me to overload my plate, push myself beyond my limits and stops my mind from ever switching off. It's what makes me a perfectionist, an over thinker and an over doer. 'Am I good enough?' is what makes me compare myself to you, and to them, and to who I was when I woke up yesterday. It's what makes me feel sorry for myself, angry at myself too and withdraw from those around me. Its what pushes me to work harder and try harder, think more and give more.... rinse and repeat until I am done and I can literally do no more. It's also what makes me feel guilty. I know I am not the only one that feels like this. I've picked many a brain about this subject and it seems that doubting ourselves and the constant 'am I good enough?' question is something that so many of us often struggle with. We compare ourselves to each other, to that mother, that couple, that friend, that blogger yada yada and when we do this we leave ourselves exposed to doubt and Lord knows that doubt left to fester is one of the most dangerous things we could allow to happen. It's taken me a long time to realise this about myself you know. A psychologist would probably say it goes back to me as kid in plaster watching the world from the sidelines and wondering if I will ever be good enough... and maybe they would be right. I do know though that I am good enough. I also know that you are good enough too. We are all totally good enough. It's about time I start believing it and stop busting my guts to prove it to myself or anyone else for that matter. Do you doubt yourself or find question if you are good enough? How do you snap yourself out of it? 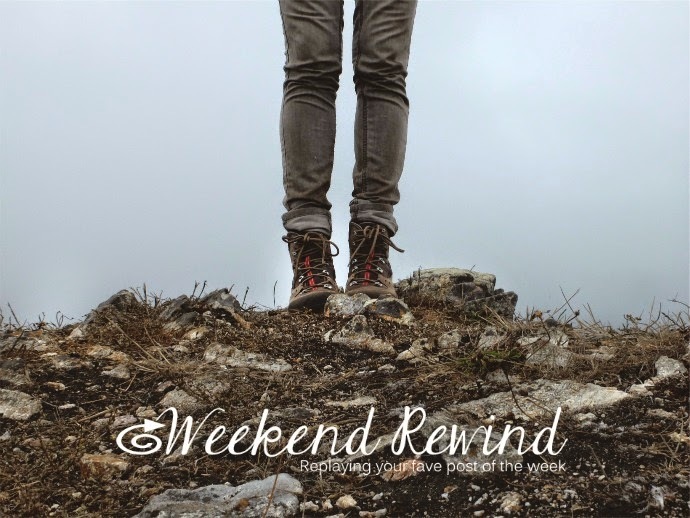 This week's Weekend Rewind guest host is the beautiful Bele from Blah Blah Magazine. Bele is one of those good eggs, you know the ones? The egg that is every bit as beautiful on the inside as she is on the outside? 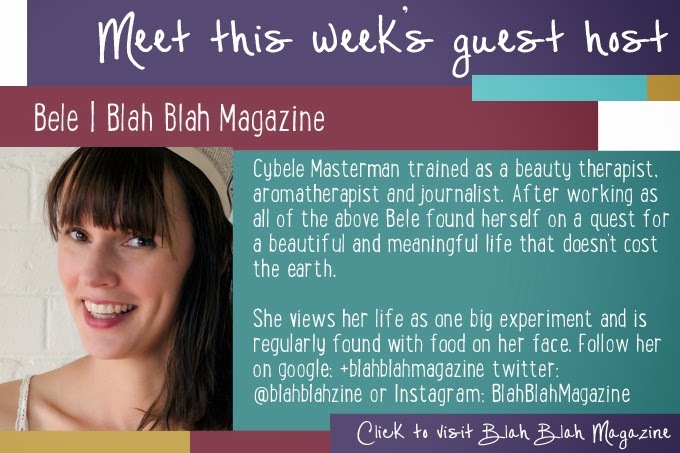 Cybele Masterman (Bele) trained as a beauty therapist, aromatherapist and journalist. After working as all of the above has found herself on a quest for a beautiful and meaningful life that doesn't cost the earth. She views her life as one big experiment and is regularly found with food on her face.